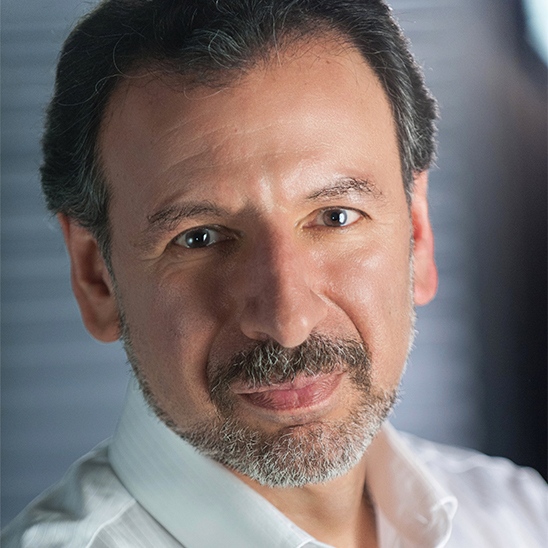 Since launching Delphi Group in 1989, Mr. Koulopoulos propelled Delphi to its position as an Inc. 500 company (one of the 500 fastest-growing private companies in the USA) with global offices, a trusted brand, and a leading independent advisor on business and technology trends to large enterprise and government. The most significant consumer trend for the 21st Century will be the shift towards loyal brands that are part of massive digital ecosystems which provide hyper-personalized experiences for consumers. The industrial age mass-production model of consumerism that worked so well to scale the 19th and 20th Centuries is crumbling under the burden of its own complexity. Consumers no longer expect or accept being anonymous members of broad demographic categories. Instead they demand transparency, personalization, and frictionless transactions. In short, if you expect brand loyalty your brand must first be loyal to the consumer. 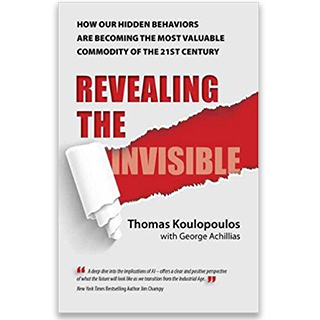 The companies that will succeed and prosper in this new era are the ones that own and have the greatest insight into the behavioral data of consumers, not as faceless mass markets but as individuals with very specific needs, desires, and personal objectives. These companies will turn the 20th Century concept of Brand Loyalty on its head, creating Loyal Brands that understand and respect each consumer at unimagined levels of detail and intimacy. The result will be an entirely new category of value that has the power to profoundly transform our lives, our economy, and our businesses—from personalized experiences in real time, to individualized medicine and autonomous healthcare advocates, to the development and protection of the consumer’s digital-self, to hyper-personalized products that know what you need before you know to ask for it. Companies which have the greatest insights and understanding of consumer behaviors (such as Equifax) will be among the most critical and valuable players in vast digital ecosystems that revolve entirely around the consumer; think of it as a Copernican shift from the brand at the center to the consumer at the center of every ecosystem. In this model of commerce the consumer drives the success of the entire ecosystems—B2C as well as B2B—by demanding frictionless and individualized experiences, processes, and transactions. In 21st Century business whichever ecosystem delivers the least friction will win. Far-fetched? Only if you discount the enormous power of new technologies such as Artificial Intelligence, machine learning, blockchain, cryptocurrencies, and behavioral business models which will use the invisible patterns in all of our behaviors to develop an intimate understanding of what drives, us, where we see value, and how we want to experience the world. The single most significant shift in business is underway – Digital Business Ecosystems. Simply put, Digital Business Ecosystems are at the heart of successful high growth companies such as Uber, Airbnb, Tesla, Google, Amazon, Netflix, MoDe, Alibaba, Samsung, Nest, Climate Corporation, GE, Discovery Health, Oculus, and Oracle. In this leading-edge keynote, Tom looks at how Digital Transformation and Business Ecosystems, from insurance to healthcare to education to manufacturing and retail, will be critical to the success of every business in every industry over the decades to come. While every new generation has faced its share of disruption in technology, economics, politics and society, no other generation in the history of mankind has had the ability to make sure that every human being on the planet is connected to each other, fully educated, and economically engaged. What might this mean for the way in which we build our business, markets, and institutions for education in the future? 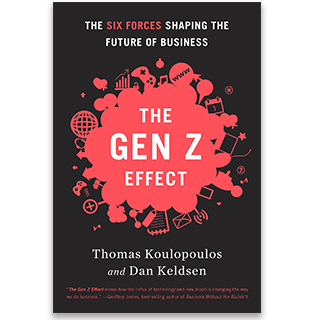 In this revolutionary keynote, drawing from his book, The Gen Z Effect, Tom delves into a vision of the future that will not only disrupt but also reinvent almost every aspect of how we work, live and play. From radical new approaches to marketing and manufacturing to the potential obliteration of intellectual property and the shift to mass innovation, Tom provides a mind-bending view of why we will need to embrace Gen Z as the last best hope for taking on the world’s biggest challenges and opportunities, and how you can prepare yourself and your business for the greatest era of prosperity and advance the world has ever experienced. The Cloud is the hottest topic since the advent of the Internet. And nobody can speak to it with more insight, energy, and humor than Tom. It’s why HP, Microsoft, Gartner, Intel, Cisco and many others have asked Tom to keynote their organizations’ cloud events. 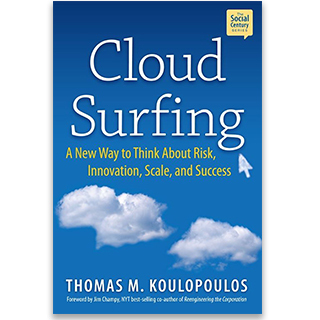 Drawing on his latest e-book, Cloud Surfing, Tom paints a powerful picture of how The Cloud will change the way we live, work and play. How will The Cloud define your job? Social Media, open models for education, the ongoing debate about classroom vs. virtual learning, mining online conversations, and identifying needs for education. What is The Cloud? It’s a framework for the disruption of structure. A place where we will all learn, live, work and play in the 21st Century. It’s where nearly 35 million people already work. It’s where your kids are when they dive into online play. It’s a classroom without walls, instructors, or curriculums. It’s where you meet and make friends in social networks and where conversations are turned into communities. It’s where companies go to find the next big idea. It’s where political campaigns are won and lost. It’s where the future will outweigh the All that may seem radical, but it doesn’t even come close to defining how disruptive The Cloud will be. In its simplest terms, The Cloud is the new context for innovating business and society. However, the Cloud is NOT just about technology. In fact, technology is only a small part of The Cloud. Just as important is the way The Cloud changes the way we collaborate, work, how we are influenced and how we influence, and how we experience the world. 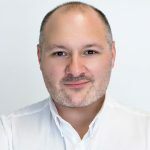 Join Tom as he takes you into the cloud to better understand how we can respond to this massive change in order to transform ourselves and our industry! In this lightning-paced, tour-de-force session Tom looks at how companies are radically changing their approach to innovation by learning how to fail fast, embrace uncertainty, build for the unknown, abandon the success of the past, focus on their core competencies, and challenge conventional wisdom. 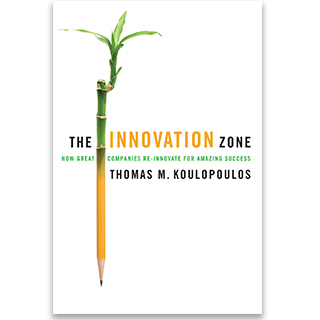 Tom uses examples from some of the pioneering innovators from Sony to Apple and 3M to NASA to illustrate some of the best and brightest success stories of innovation at work. His views will provide a prescription for change in how you approach innovation, in a way that is straightforward, comprehensive, and, above all else, incredibly practical. You’ll identify the ways in which you can drive your own organization’s efforts to increase innovation and better leverage the latent creativity in every organization. Come prepared for an enlightening and life-changing discussion about the importance of innovation and get ready to take a hard look at how issues of culture, generations, and leadership impact the way we innovate. Tom’s approach is insightful and cutting but be forewarned, at times unorthodox. 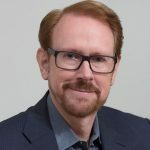 It’s the reason Forbes.com called him Business Visionary with an incisive view of world trade and why, in the words of his longtime mentor Peter Drucker, “Tom makes you rethink not only your business but yourself. You’ll leave this session with a roadmap and a context for your conference experience and with specific insights, methods, and tools to help you quantify your organization’s innovative ability as well as a solid foundation for the decisions you will need to make in the months and years ahead. It’s hard to go for more than a few hours without coming across some mention of the impact that cybersecurity is having on today’s world. From the recent presidential elections in the US to the growing threat of global cyber terrorism, we are surrounded by the ever-present discussion of cybersecurity. 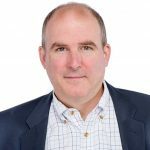 As a leading expert on the topic, Tom teaches graduate courses on cybersecurity at Boston University and works with organizations to create cultures of security which can mitigate the risk of attacks by addressing the human element of security. Tom’s keynote covers the spectrum of cybersecurity threats, from “influence hacks” such as WikiLeaks, meant to change opinions about brands, to the malevolent attacks that can potentially destroy a brand. Big Data is one of the hottest business and tech topics to come along in years, and nobody can better speak to the impact that Big Data will have on our organizations and our lives than Tom Koulopoulos. What is Big Data? It’s the incredible new value being created through the ability to hyperconnect all of the data being collected about how businesses and people behave. In short – it’s the future of business; the way we market, sell, service, and build relationships will all be impacted by the advent of Big Data. If you use social networks, smartphones, or surf the web, your behaviors are being tracked and connected in ways that allow companies such as Amazon, Facebook, Google and Apple to know you better than your best friend. That’s Big Data. In business to business interactions, the change is even more dramatic. Companies such as E2Open are collecting data about the way supply chains and markets behave in real-time and automating the innovation process by predicting future trends, products, and services! Companies such as Retail Next are collecting nearly 10 million data points for a single shopping visit to a retail store. That’s Big Data. If you’re a government intelligence agency, the torrent of data being collected and connected in real-time across myriad sources that were never meant to work together is critical in order to respond to threats. That’s Big Data. In this keynote, tailored to your audience’s background and role, Tom puts Big Data in context, providing a clear view of the implications for innovation, new business models, and a fundamental shift in the way we work, live and play. 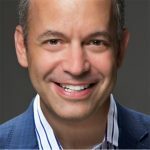 The Internet of Everything (IoE) is one of the hottest business and tech topics to come along in years, and nobody can better speak to the impact that IoE will have on our organizations and our lives than Tom Koulopoulos. What is IoE? It’s the incredible new value being created through the ability to hyperconnect all of the devices, sensors, people, and data being collected about how businesses and people behave. 100 billion devices by 2020 and more devices than grains of sand on all the world’s beaches by 2100! In short – it’s the future of business and society. If your clients have not yet begun to ask for a presentation on the IoE, they will. Be assured, as always, Tom is on the cutting edge of current trends in business and technology. If you would like to discuss the focus of this keynote, so that you may present it to your clients, we are happy to arrange a conversation! “It was nothing short of incredible. The manner in which he was able to work in our core values and Navigating Life program was masterful. His presentation set the tone for the rest of the day and to a person, we felt he was spectacular.”	Gregory Morris	Vice President of Marketing and Communications, NuPath, Inc. Took a short detour while in DC to visit Monticello. I’ve always been drawn to this place and to Jefferson, his brilliance and his frailties. I didn’t realize until I was in the house that Jefferson’s birthday is just two days away. Magnificent and deeply moving.